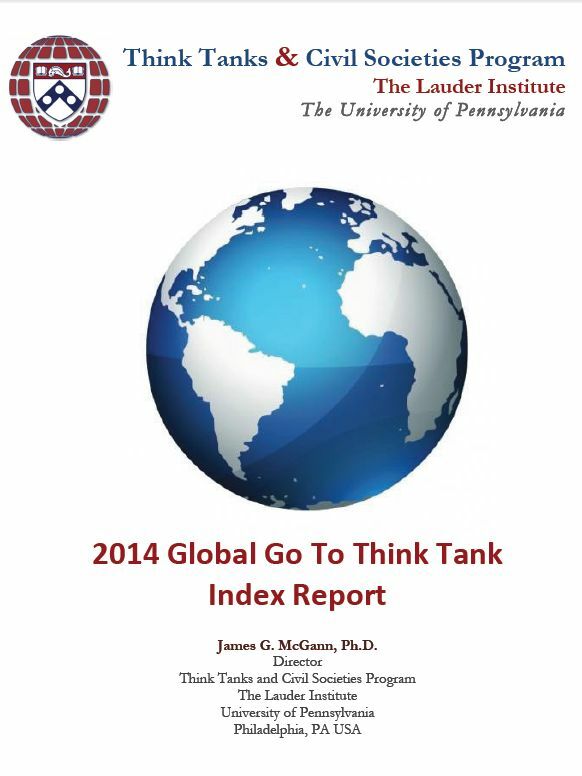 For the past 5 years, Ecologic Institute has maintained a top position in the prestigious ranking of political institutions or "Think Tanks," implemented by the University of Pennsylvania. Moreover, the Institute is currently 16th amongst "Think Tanks to Watch," i.e., those organizations that have earned a particular global profile according to assessment of the consulting experts. Ecologic Institute, founded in Berlin in 1995 and currently employing around 150 individuals, is the only Think Tank among the 55 Think Tanks in Western Europe that specializes in matters relating to the environment, climate, energy and resources and is also the sole organization of this nature among the 70 Think Tanks considered to have the most significant impact on public policy. The scientists at Ecologic Institute investigate the most current social and political issues with a particular focus on European and global contexts. As a result Ecologic Institute cultivates a high international profile and now holds the third place among European Environment Think Tanks. The first place world-wide is held by the previous year’s top organization: the US Think Tank, World Resources Institute (WRI). "Ecologic Institute is a global leader among Think Tanks and demonstrates with its private, independent, and not-for-profit nature that it is possible to compete with large-scale government-funded institutes. Our international orientation and our presence in the USA have been very helpful in this regard. The deciding factor has been, however, the team of excellent individuals with very different knowledge bases and skill-sets. This constellation consistently links scientific excellence with practical relevance to create new beneficial knowledge.” The 42-year old lawyer views this success as an incentive to "continue to produce cross-European scientific work at the highest level: in 2015 with a particular focus on climate protection and the energy transition, marine protection and management of natural resources, particularly in the context of Germany as a country of technology and industry." The ranking is the result of nominations from across the world, processed based on a selection procedure and voting system. Over 21 500 experts and institutions in over 200 countries from the fields of science, think tanks, media, and policy as well as public and private investors were invited to contribute. The criteria include the quality and reputation of the research and results, scientific economic potential, the quality, quantity and impact of publications and the implementation of deliverables in scientific support and consultation regarding public policy.